Here’s a story CNN (and OTHER surrogates of the Democrats) hope you won’t notice. At least ONE of the ‘hacks’ that the kept blaming on Russia… Was NOT done by Russia. Democrats told us that they’d been hacked by the Russians? Do you remember how the DNC came to learn this? It was a tech company called CrowdStrike that the DNC hired to see how their emails were accessed and then taken. The founder of CrowdStrike has very close ties to the Obama team, is friends with Hillary Clinton, and is connected closely to Ukranian oligarch Victor Pinchuk (who is quite friendly with the Democrat Party). It was CrowdStrike that uncovered the “Russian hacking” of the DNC, and when the DNC refused to allow the FBI access to their servers to see the evidence for themselves, it was CrowdStrike who told the FBI that it was the Russians. And yet, it was stated as ‘incontrovertible FACT’ that Wikileaks was a Russian hacking job. Even though Julian Assange straight up denied it. Months ago. ClashDaily was one site that factually reported it… while all the networks screamed their fake Russian hacking stories. And a Diplomat backed him up on that. Media and Democrat (sorry for the redundancy) ‘Russia’ claims were even the justification for some of the violent protests we saw around the country, not to mention the endless general obstruction and attempts to de-legitimize the Trump administration. Even Obama jumped on that train. But ‘Russia’ was a whistleblower. There was NO hacker. But there WAS a leaker. 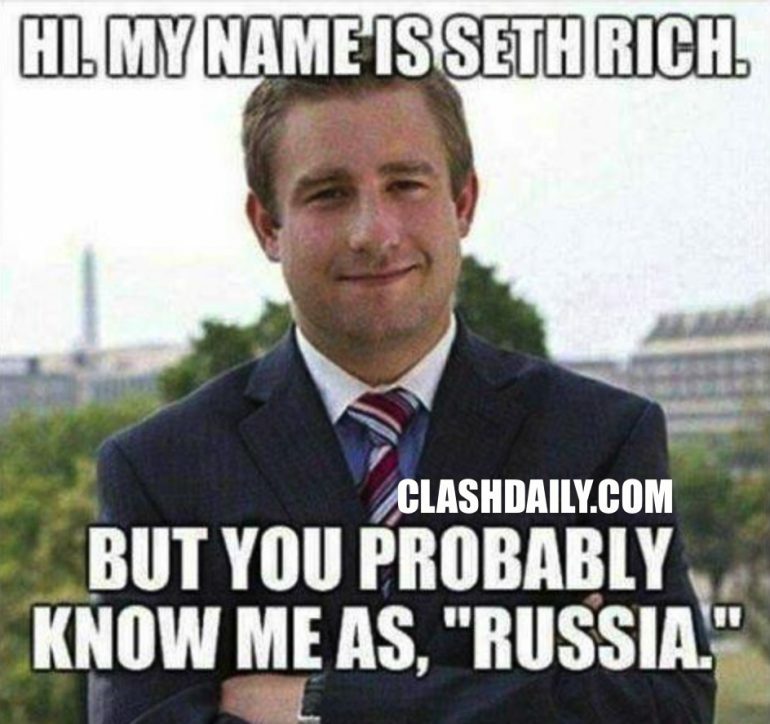 His name was Seth Rich. He wound up mysteriously murdered not long after. It looks like the networks AND the journalists need to read this. Share with someone who only gets their news from TV, and probably hasn’t heard about this before.